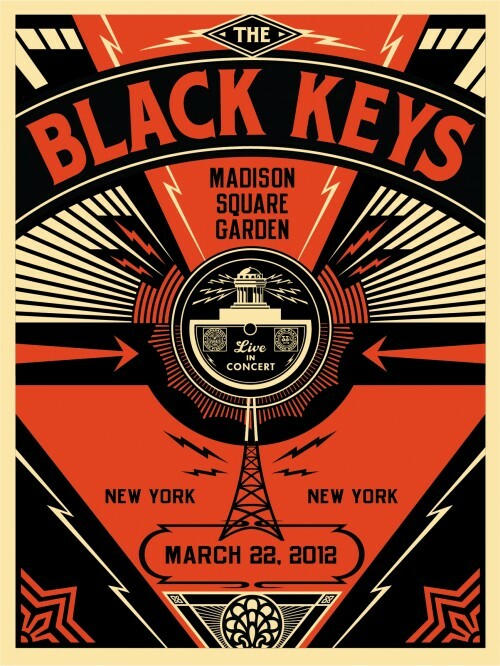 Hot on the news of the Dan McCarthy print release for the recent Boston show posted last week, it would now appear that famed street artist Shepard Fairey will be offering his prints for the MSG show, wow! As always, and I love Shepard for this, his prints are being offered for a mere $45 and are limited to an edition size of 550 each. Usually the release times are super random which limits your ability to grab his prints (often selling out in minutes, so be forewarned!). This time Fairey has been kind enough to inform hopeful buyers that there will be two release times on 3/27 for each print: Between 10:00 and 12:00 PST for the first print and between 3:00 and 5:00 PST for the second, be mindful that these release times are PST and not EST. As usual, Fairey works in his trademark red and black silkscreen colors with a brilliant use of negative space, as always his creations result in vibrant and striking imagery. 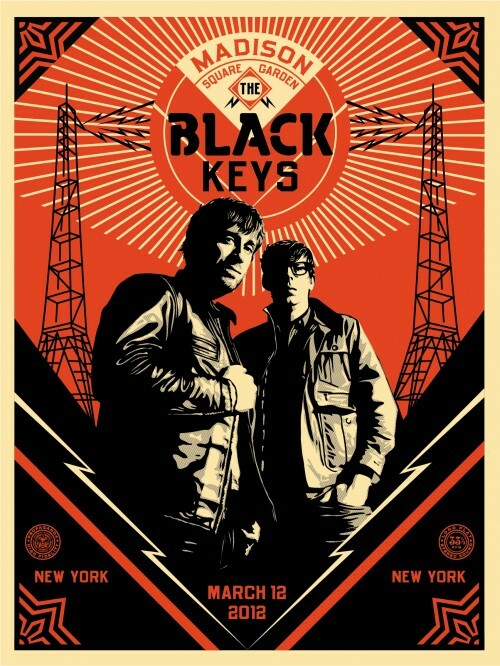 You can check out more about these prints at www.obeygiant.com and good luck grabbing one…or two! Dan McCarthy’s print is also now available for $40 at www.danmccarthy.org but I’m unsure of the edition size. If you know, please update us here at HiFi Central.